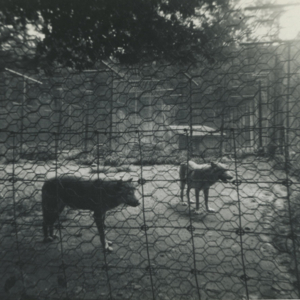 This photograph depicts two wolves in a pen at Jack Lynch's lobo wolf park, located along Route 6 five miles east of Kane, PA. 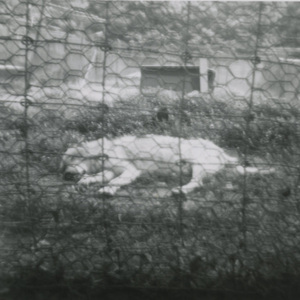 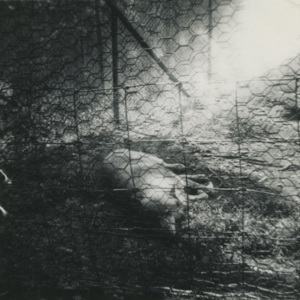 This photograph depicts a wolf lying in a pen at Jack Lynch's lobo wolf park, located along Route 6 five miles east of Kane, PA. 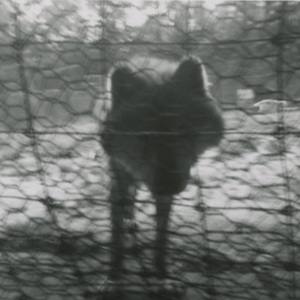 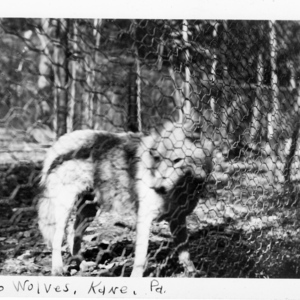 This photograph depicts a wolf staring through the fence of a pen at Jack Lynch's lobo wolf park, located along Route 6 five miles east of Kane, PA. Another wolf can be seen in the distance. 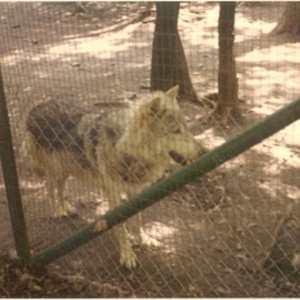 This photograph depicts a wolf in a pen at Jack Lynch's lobo wolf park, located along Route 6 five miles east of Kane, PA. 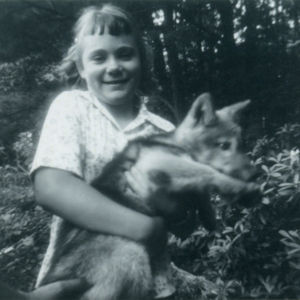 This photograph depicts Leora Hoge (then 10 years old) holding a six-month-old wolf pup named Wendy at Jack Lynch's lobo wolf park, located along Route 6 five miles east of Kane, PA. 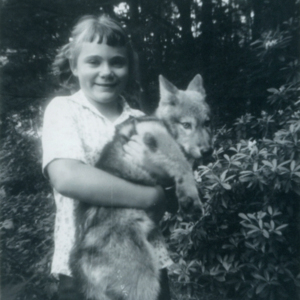 This photograph depicts Leora Hoge (then 10 years old) holding a six-month-old wolf pup named Wendy at Jack Lynch's lobo wolf park, located along Route 6 five miles east of Kane, PA. Another person's hand can be seen holding the wolf pup as well. 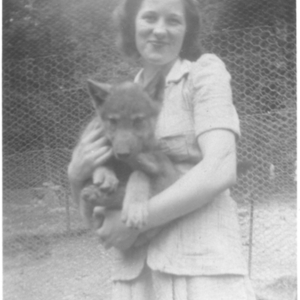 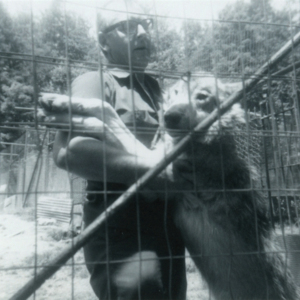 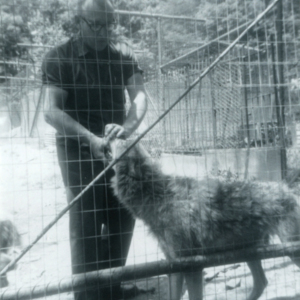 This photograph depicts Jack Lynch with a wolf at Jack Lynch's lobo wolf park, located along Route 6 five miles east of Kane, PA. 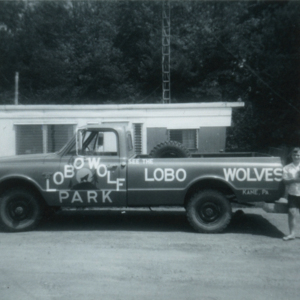 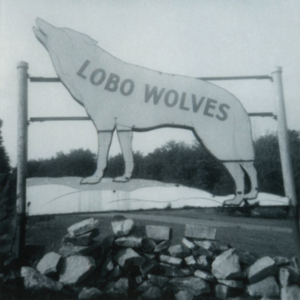 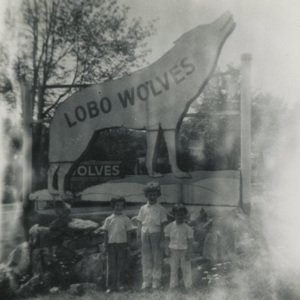 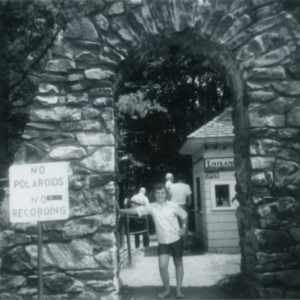 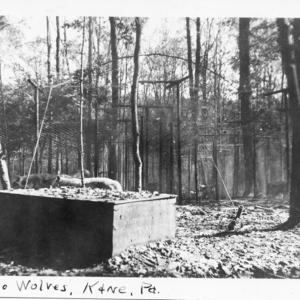 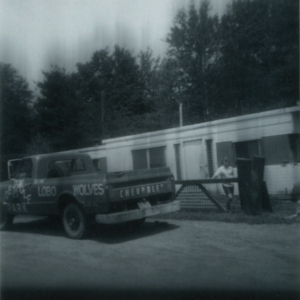 This photograph depicts the large wolf-shaped sign that reads "LOBO WOLVES" which stood at the entrance to the lobo wolf park, located along Route 6 five miles east of Kane, PA. 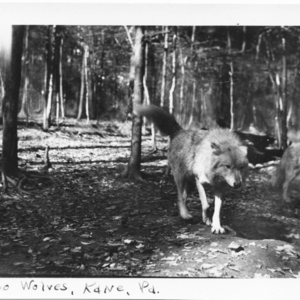 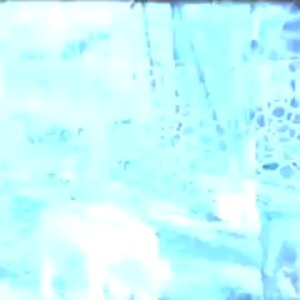 This film depicts two wolves eating and a young mountain lion being started at the lobo wolf park, located along Route 6 five miles east of Kane, PA. 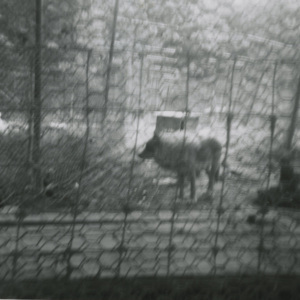 This photograph depicts a wolf in a pen at the lobo wolf park, located along Route 6 five miles east of Kane, PA.
Judging by the fact that this photograph is in color, I believe it was probably taken in the 1960s or early 1970s.